Antique furnishings, period details, and personalized attention make a stay here feel like an overnight at a friend's house. Guests are pampered with a wine and cheese reception held daily, a library filled with lit classics and the owners' extensive record collection--which you can play on the turntable. 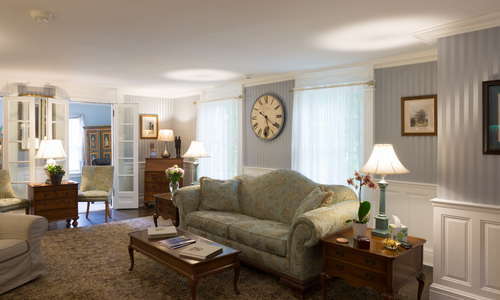 All rooms are individually decorated, but have period furniture, down comforters, and flat screen TVs. 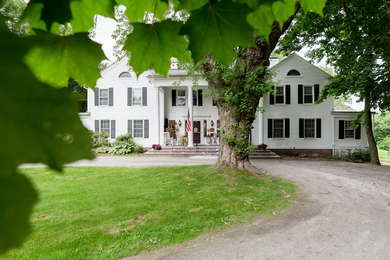 Accommodations in the main house have artifacts from the original mansion, while the Cottage House offers more privacy and space. Alternatively, each room in the Barn Suites boasts a fireplace, Jacuzzi tub, and king-sized bed. Traveling with pets? Ask to stay in one of the rooms in the Cottage House. Bathrooms are clean and spacious if a little dated. However, Jacuzzi tubs are relaxing, and there are comfy robes and Damana organic toiletries. A traditional sitting room with a roaring fireplace in winter. It also serves as a late afternoon gathering space with a wine and cheese table. A heated pool is open seasonally. Spa services including facials and massages are available with advanced booking. A small fitness center with cardio equipment and weights. Wake up to home-cooked breakfast each day with baked goods, eggs, toast, homemade granola, fruit and more. They are happy to accommodate any special dietary needs with advanced notice. 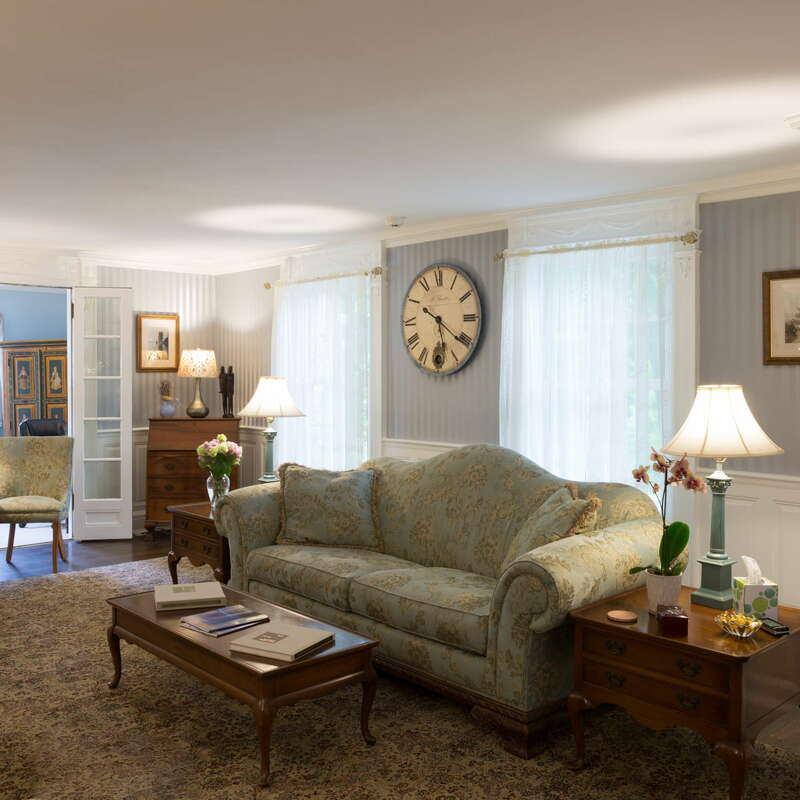 The innkeepers strive to make it feel like home with coffee, tea, cookies, and snacks provided in the house dining room and guest refrigerator. 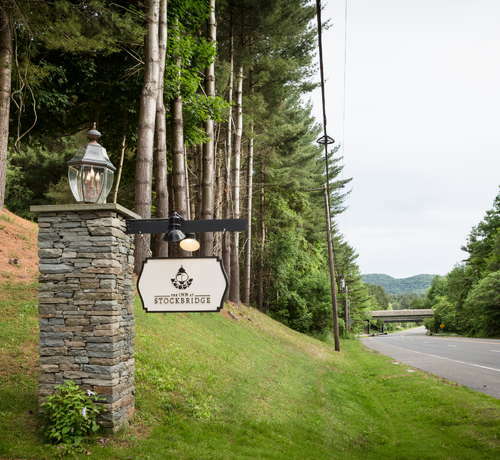 There's no bar at the B&B, but you can enjoy complimentary wine and cheese each afternoon at 4:30 p.m.
A car will get you everywhere you need in and around the Berkshires, and there's ample street and/or lot parking at venues and along Main Street shops. For modern French, head to Zinc (10-minute drive) which serves up a classic bistro menu for lunch and dinner in a refined, yet relaxed atmosphere. Cafe Lucia (10-minute drive) uses locally-sourced ingredients for their Mediterranean menu and boast an extensive wine list. Main Street Cafe (5-minute drive) is a casual stop for breakfast and lunch with homemade muffins, hearty sandwiches, in-house baked pie, appetizers, and a summer ice cream counter. The Brick House Pub (12-minute drive) is a casual local haunt offering domestic and imported beer on tap and bar snacks on the menu. If you prefer to sip your craft beer in a more modern atmosphere 51 Park Restaurant and Tavern (7-minute drive) has several dozen beers on the menu as well as pub grub, pizza, as well as a kid-friendly afternoon menu. Nejaimes Fine Wine & Cheese (5-minute drive) isn't a bar but offers a large selection of wines, beer, spirits, and cheeses, perfect for a picnic. 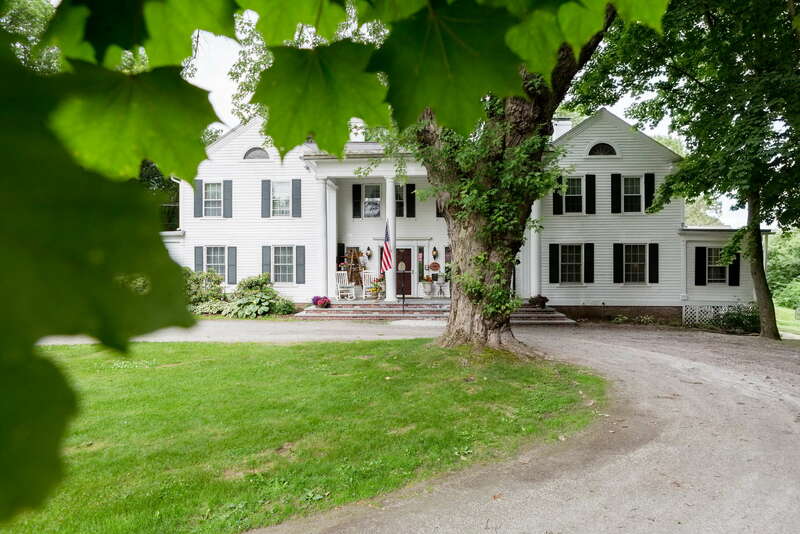 With personal touches, cozy fireplaces, a wrap-around veranda and 12-acres of wooded areas, the innkeepers Lisa Morehouse and Jeff Bell at Stockbridge deliver a quintessential New England B&B experience.